I am so serious. Right outside of the shipping port, overlooking the sea, and right down the street from the beach is a short, stout, older Black woman with a rag on her head hunched over a few foam plates inside a food stand. She is surrounded by barbecue pits and jerk sauce. The chicken is decadent. The hush puppies are soft. The rice and beans are plentiful. 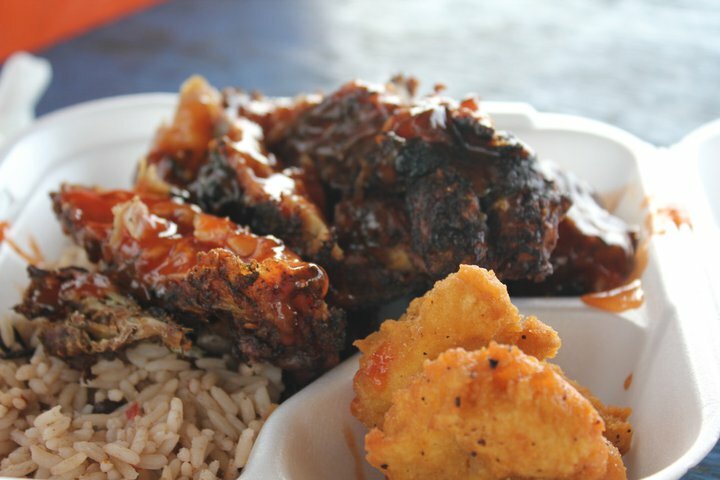 If you ever get a chance to venture around the otherwise expensive, Grand Cayman, make sure you stop by the road and taste the jerk chicken. It is street meat worth writing home about. Thank me later.